EXPERIENCE INCLUDES: DEEP TISSUE MASSAGE (60min), TOT OF HOUSE WHISKEY/GLASS OF JUICE + MEAL Relax and release tension with a 60 minute Deep Tissue Massage. Included is a tot of house whiskey or glass of juice from the Refinery Bar, as well as a meal (to the value of Ksh 2000) from Harvest Restaurant at Trademark Hotel next door. EXPERIENCE INCLUDES: HEAD MASSAGE (15min), WET BEARD SHAVE/BEARD TRIM + TOT OF HOUSE WHISKEY/GLASS OF JUICE. A perfect grooming pick-me-up for the busy man. Enjoy a 15 minute Head Massage and a wet beard shave or beard trim. 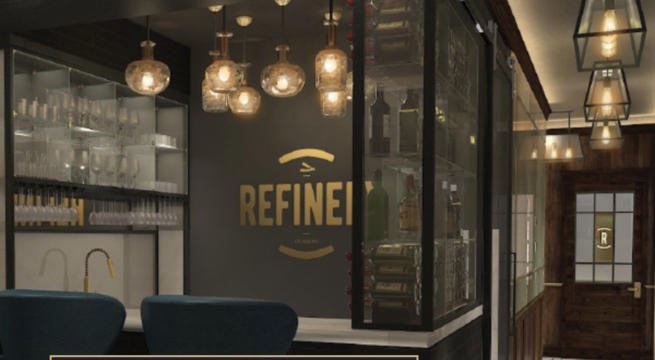 Package includes a tot of house whiskey or a glass of juice at the Refinery Bar. EXPERIENCE INCLUDES: BUZZ HAIRCUT/EXECUTIVE FINISH HAIRCUT/CLOSE BEARD SHAVE, MANICURE, TOT OF HOUSE WHISKEY/GLASS OF JUICE + MEAL. 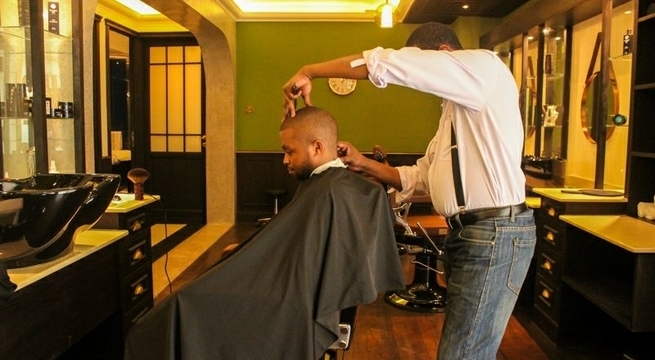 Make grooming a great experience with this style-up and chill package. Choose from a buzz haircut, executive finish haircut (quick stylish cut) or close beard shave, and enjoy a express manicure in Refinery's luxurious men's grooming lounge. Included is a tot of house whiskey or glass of juice from the Refinery Bar, as well as a meal (to the value of Ksh 2000) from Harvest Restaurant at Trademark Hotel next door. EXPERIENCE INCLUDES: NECK AND BACK MASSAGE (20min), BUZZ HAIRCUT/EXECUTIVE FINISH HAIRCUT/CLOSE BEARD SHAVE, MANICURE, TOT OF HOUSE WHISKEY/GLASS OF JUICE + MEAL. A well-deserved grooming retreat for busy men. Choose from a buzz haircut, executive finish haircut (quick stylish cut) or close beard shave, and enjoy a express manicure in Refinery's luxurious men's grooming lounge. Top it off with a relaxing 20 minute Neck and Back Massage. Included is a tot of house whiskey or glass of juice from the Refinery Bar, as well as a meal (to the value of Ksh 2000) from Harvest Restaurant at Trademark Hotel next door. EXPERIENCE INCLUDES: DEEP TISSUE MASSAGE (90min), TOT OF HOUSE WHISKEY/GLASS OF JUICE + MEAL. Relax and release tension with a 90 minute Deep Tissue Massage. Included is a tot of house whiskey or glass of juice from the Refinery Bar, as well as a meal (to the value of Ksh 2000) from Harvest Restaurant at Trademark Hotel next door. EXPERIENCE INCLUDES: NECK AND BACK MASSAGE (20min), SIGNATURE MANICURE, SIGNATURE PEDICURE, TOT OF HOUSE WHISKEY/GLASS OF JUICE + MEAL. For the refined gent, enjoy a Signature Manicure (exfoliating scrub, paraffin dip and hand massage) and a Signature Pedicure (exfoliating scrub, paraffin dip and foot massage) in Refinery's luxurious men's grooming lounge. De-stress with a relaxing 20 minute Neck and Back Massage. Included is a tot of house whiskey or glass of juice from the Refinery Bar, as well as a meal (to the value of Ksh 2000) from Harvest Restaurant at Trademark Hotel next door. EXPERIENCE INCLUDES: SWEDISH MASSAGE (60min), CHAIRMAN'S PEDICURE, TOT OF HOUSE WHISKEY/GLASS OF JUICE + MEAL. When only the best will do. 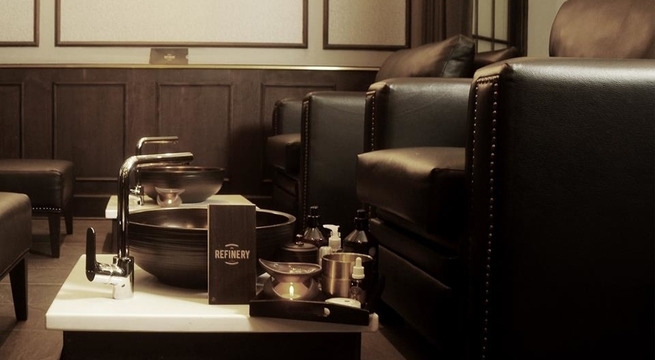 This package includes a 60 minute Swedish Massage and a Chairman's Pedicure (foot masque and deep conditioning, and foot massage) in Refinery's luxurious grooming lounge. Included is a tot of house whiskey or glass of juice from the Refinery Bar, as well as a meal (to the value of Ksh 2000) from Harvest Restaurant at Trademark Hotel next door. EXPERIENCE INCLUDES: SWEDISH MASSAGE (60min), FACIAL (60min), MANICURE, CHAIRMAN'S PEDICURE, TOT OF HOUSE WHISKEY/GLASS OF JUICE + MEAL. Escape to your mental man cave with our most comprehensive men's package. This package include a 60 minute Swedish Massage, 60 minute Hydrate Facial, a Manicure and Chairman's Pedicure (foot masque and deep conditioning, and foot massage) in Refinery's luxurious grooming lounge. Included is a tot of house whiskey or glass of juice from the Refinery Bar, as well as a meal (to the value of Ksh 2000) from Harvest Restaurant at Trademark Hotel next door. 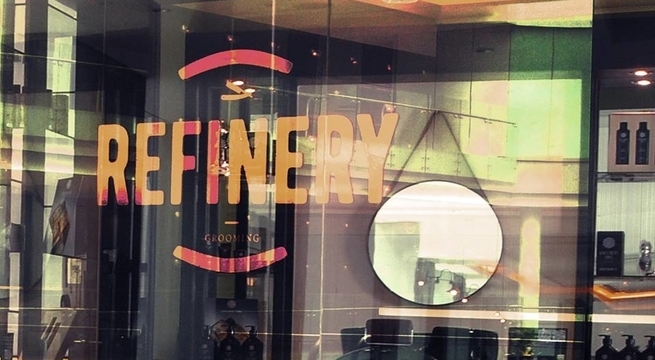 Refinery Grooming is Kenya's first grooming lounge designed exclusively for men. 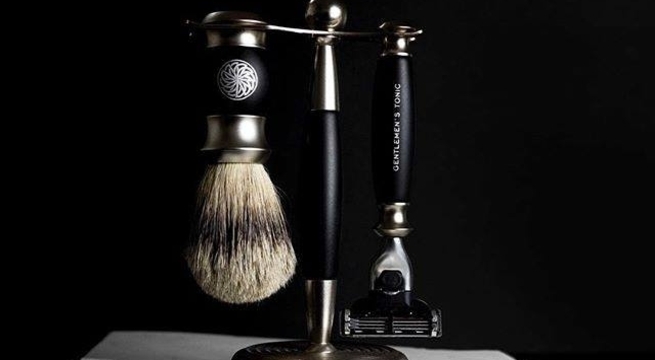 The lounge offers the complete range of luxurious bespoke treatments to suit the modern man's grooming needs. Additionally, the lounge provides first-class superior service using the only the best products available in the market. So regardless of whether one is an 'executive on-the-go' or simply requires much needed 'time-out', this private vintage venue will serve his needs. Trademark Hotel, a member of Design Hotels, is an urban business hotel inspired by the cultural and creative renaissance in Nairobi, reflecting the city’s industrious and innovative nature in its design. It is home to Harvest, an open grill Brasserie inspired by Kenya's love of meat. Harvest takes you on a true culinary journey, offering farm fresh ingredients carefully paired together with exquisite wines from the restaurants walk-in wine room.